Hard Cover, 256 pages, 5 x 8.5. 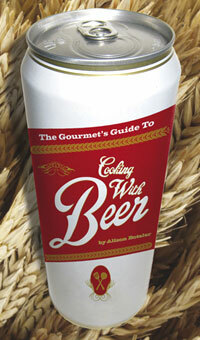 This book shows how to use beer, ale, stouts, ciders, and nonalcoholic brews such as ginger and root beer as a convenience ingredient that will add nuanced flavor and earthy flair to your cooking and baking repertoire. Why? Beer is versatile. It can be used with nearly every type of food. Use it to marinate meats, flavor stews, punch up sauces for fish, chicken, pasta, vegetables, and take desserts from standard to savvy.